Snacking throughout the day can be beneficial for losing weight. But the consuming the wrong kind of snacks can have the opposite effect and make you gain weight instead. We’ve all been there – it’s hard to resist snacking big and snacking well especially when your ‘fit’ and ‘thin’ friend or colleague offers some to you. 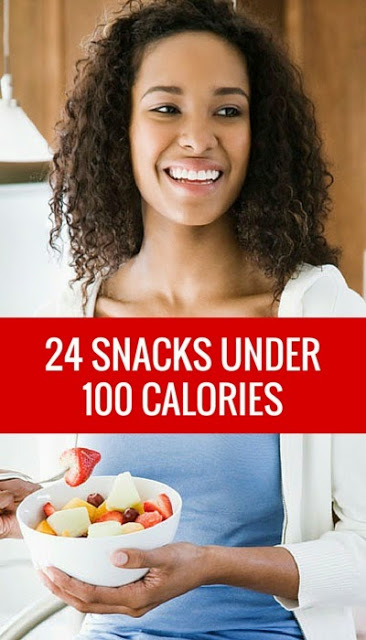 Well, have no fear, here are 24 snacks with 100 calories of less that are guaranteed to satisfy hunger pangs anytime during the day; and they taste equally delicious with anything your friend offers. Surprise! Ice cream tops our list of low-calorie snacks. The key is to look for slow-churned or double-churned varieties. This refers to a process that reduces fat and calories while retaining the creamy texture of full-fat varieties, so 1/2 cup has just 100 calories. As a bonus, you’ll get some protein and calcium.